Seller: Lutron Electronics co., Inc.
© Lutron Electronics co., Inc.
A little bit pricey considering you already paid thousands for your system, but this app is very useful to control your house from your smart devices. It also allows you to add more scenes that would otherwise require an extra keypad/button. The GUI is OK, nothing fancy, but it works well. I use it when I am in bed if I forget lights on or when outside at the pool. Works locally only unless you purchase a DDNS feature from Lutron. If you know how to create a VPN tunel on your home network amd have DDNS, then you can do it yourself. 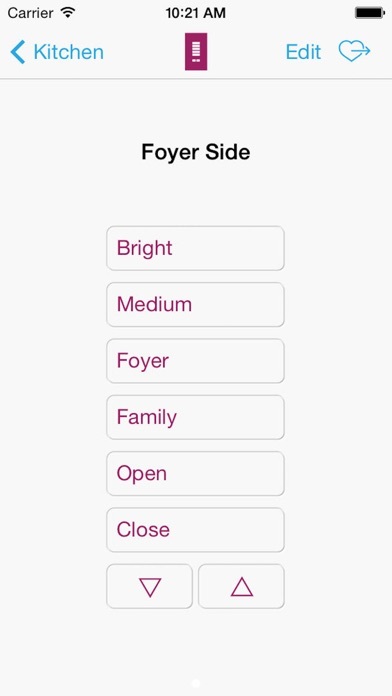 This application works very well from my iPhone and it is very useful. But, it would be nice if there was a Apple Watch extension application for this application. The last up date doesn't work. I am trying to find another app to control my smart house. 10/19/18 update: I changed my review from 1 star to 4 stars. I am a HUGE RadioRA 2 fan and I did not want my 1 star review and comment regarding "Apple Watch support being removed" to in any way be a reflection on the Lutron System as a whole. True these reviews are supposed to be for the App but this is unique in that it is one of the few apps on the App Store that work along with an external system. Lutron System = 5 stars Lutron App (when/if Apple Watch support is restored) = 5 stars Huge thanks to Mike S. from Lutron for responding to my post. 10/13/18 update: Apple Watch Support has been removed??? Why! Why? Original 2015 Post: As another reviewer stated, light status not working for RadioRA 2. App doesn't work after update! As others have noted, I can't control my system from my phone anymore - really wish I hadn't updated! I would say that when it comes to lighting controls and shade motorization/automation, Lutron has set the standard for reliable comunication and quality. Good luck with other systems that roam in the "High End" sphere and fall very short with poor comunication, bugs, glitches and multiple freezes wich turn your day into hell in a matter of minutes. Update kills app. Was working. I have about 50K in Lutron lighting. This software is a massive disappointment. So tragic, the Lutron hardware is flawless. I have updated everything. Latest iOS, latest version of app. I have uninstalled and reinstalled the app. Still does not work. To program your Lutron system, make sure you get the dealer software for Windows. Top engineering. Worst delivery of luxury goods I’ve ever experienced. Five-digit sum for the Lutron Installation and then apps that keep being rendered obsolete. Stay away from Lutron unless you’re made of millions and your time (or your staff’s time) means nothing to you. Lutron sits on well-earned patents, stifling competition. They have good engineering. You order the product and pay through the nose, only to later be told that any problems you have are due to the customer’s bad planning and the installer’s installation. And the apps are hit-and-miss. But they know they’ve got us all by the balls because the equipment is already installed. They’ll probably respond to this with a “please contact us to make it right”. Why should I? So I can pay $2000 yet again for a 20-minute issue that should’ve been covered in the installation or, at most, cost an extra tenth of that? Nope, won’t contact you or the installation. I’ll just keep telling others the truth about your business model. Bait. Switch. Cha-Ching. Great app! But can you support iPhone 6 and 6+ sizes? I'm using Lutron RadioRA2 system with approximately 35 devices, I must say this app is very confusing and is very limited in settings. Some settings that can be set with the pc app from the installer but cannot be set from this app, also devices are not same layout as in the pc app. I guess my next option is replacing my system to a Control4 home automation system. Great app , works amazing and is just a good as being hard wired to my system. Broken app since IOS update 8.4.1. I paid $20 for app 2 months ago and it worked for 1 month. Ever since I updated IOS software the app has been broken. It won't even open. 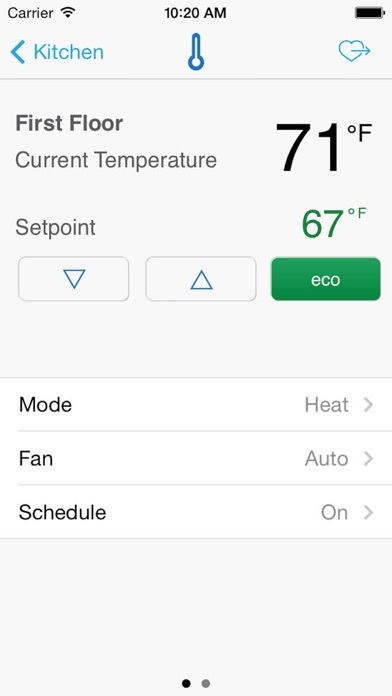 Figured Lutron would have updated app with a fix since they charge $20 for app! Any way to get a refund for app purchase if they don't maintain the app? This app seems like a good idea. But for the price, I expect an app to actually work. Call me crazy, but how about if it would find my system more frequently? Even 50% of the time would be nice? And how about if the system didn't reset every time the power blinks off? Don't waste your money for something that simply doesn't work! Meh. Awkward to get to turn a light on or off. Software usually works but to switch lights in and off, you have to burrow to the system, then a room, then pick lights. Long way to go. If you want to switch another light on or off, back up to the rooms, then down to lights in that room. You can pick favorites, but I don’t see how that short cuts anything. C4’s app is somewhat better. Room, lighting, then all lights on the system appear on the same screen. Please reorganize and rewrite this app! Too bad I can’t give it 0 starts. Spent a lot of money on this system Radio RA2. Do not buy this system get any Z wave enabled products from Home Depot (GE) and install it yourself. Horrible Lutron software. Works sometimes and it doesn’t other times. 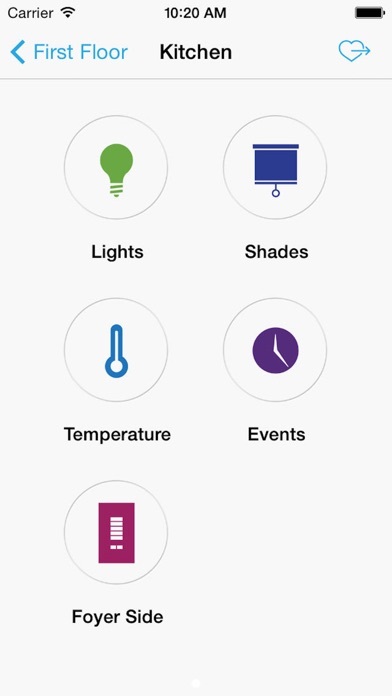 I can’t control the lights in my house through the app. At home or abroad. It asks me to buy a subscription. A complete waste of money. Lutron doesn’t stand behind their product or support it. overall an ok app. I wish the interface was a little more geared towards seeing multiple switches in a room at once. However, since the last update of iOS it STOPPED WORKING. I found this out while away for a long weekend and now have no control of the house lighting. Since I don't have the away function programmed yet I turn lights on and off from afar to simulate someone being home. Please fix this asap. Was working nicely until latest update. Can not add New system without app crashing. Please fix asap. Update. Deleted app and re-installed on ipad, fixed problem. This update has made it so I can't connect to my system. Cannot see hvac controls/status after upgrade on radio ra2. Lutron - please fix! It is mind numbing that honeywell can create an app that makes such a simple process of turning up or down the heat so impossible. I regret buying this system as I spend more time teaching people how not to screw up this system than anything else in my house. Your home could always use more Lutron. Just did the update an lost my thermostats. Since I upgraded OS it continues shutting down. Very frustrating. With The latest release i couldn't see my hvac anymore. I am totally not able to control hvac now. Please fix. Lutron RA2 systems are run from your cellphone. The cellphone software requires a password, so when you buy a home with a lutron system unless you get your iPhone controlling the system before you buy the house, you need to spend several hundred dollars to use the system in the house. The hardware buttons work but they raise all shades at once. Only the software allows complete control that you need. Stay alert. As others have noted, once you install this version the app seems to no longer connect to your Lutron repeaters. I found that doing a hard reset of the main repeater (unplugging for 5 seconds) solved that. 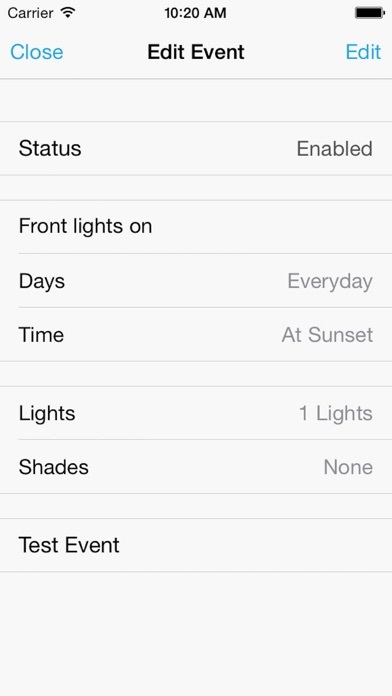 The Apple Watch app loads and while I can add specific lights or shades to my Apple Watch "favorites" I'm unable to add Scenes for some reason (selection state won't work after it tells you to select an icon), which pretty much renders it useless for my setup. Please fix, Lutron! This will be my most useful Watch App once it works! Have struggled with this app for over two years now. HORRIBLE. Go away for three weeks and look at the house using our cameras I see some lights come on and others not come on at scheduled times. Hours of difference. Same with going off. What good is it to have a light come on in the middle of the day? Recheck the schedules on my IPad and they are fine, but the lights don't follow the schedule. If Lutron cared they would fix the app. Look for something else if you can. Including the light switch. Not enough reviews for a rating??? Mike S. in the customer service department went above and beyond! Why to go Mike, thank you!!! It was an ok app while it worked. Now it does nothing. Please fix it! Call me crazy, but if I pay $20 for an app, I expect it to work for more than a week or two. After the app upgrade I have no rooms and no thermostats. Complete disaster! This works with Control 4 to provide terrible consistency. Presently my Control 4 clock is off and so asking for the blinds to come up at 4pm means they might come up around 5:40 give or take 30 minutes. However on my other set of shades the clock is perfect, so I’m not sure if the blame is Luton or Control 4. Either way I have to pay $200 to have someone come out to trouble shoot the system. Wish I had Casita then I could trouble shoot on my own. Would be nice for the developers to make the app design look similar to the new Caseta app. What happened to thermostat?? They are gone!!! 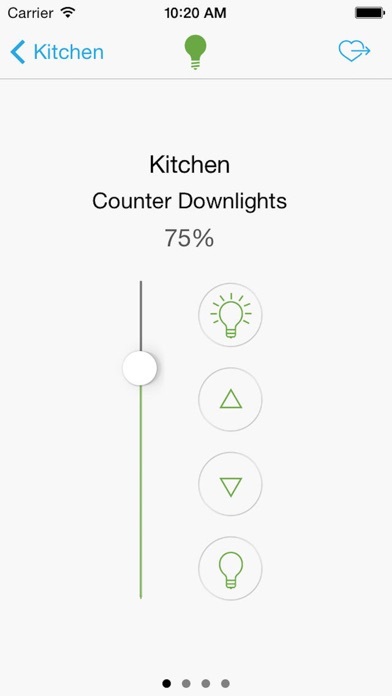 It is amazing to me that lutron, the market leader, allows software like the radioRA app to be released. This is exactly why they will lose their market position because startups who write good software will totally kill dinosaurs like them! This stuff is hard to use, is closed architecture, and has to be constantly reset. I've lost connection many times leaving the remote control value totally zero! I have to go home and unplug it to reset..
Been using the app for 6+ years. Loved the addition of the watch app and not having to fish out my iPhone just to hit a scene button. Now I see it’s gone? Why? I never had an issue or problem, and now, just like that, without warning, it’s gone. Might need to figure out a different solution... UPDATE: After receiving a response from customer service, I see they want me to spend more money with them and an “installer” just to get back what I already had! I can see now why so many people are dissatisfied with this company.